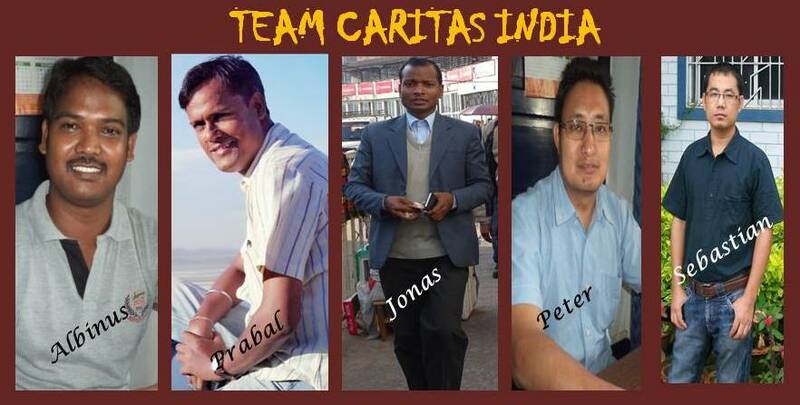 People Led Development (PLD) has been the most important component in FARM North East, a project supported by Caritas India. PLD has been an integral part of the project since its inception & sincere efforts are on by the project teams of respective partners to document PLD in their project areas. Here are a few snippets on what the Project Coordinators have to say on PLD. "As a community development worker and having associated with community for the past several years, I often ask this question to myself, why our people still remain poor and pathetic in spite of all the resources like NGOs and Government Departments with various policies & programmes for Peoples’ development? Community bond and spirit of oneness has been traditionally practiced since time immemorial. It existed & exists till date in our community, but development agencies have failed to include this approach in developmental process. I believe that had People Led Development (PLD) approach been a part of all our programmes & activities, situation would have been all different. It is heartening to see how PLD has a made a difference in our project (FARM North East). The concept once shared to us made us realize how better we make use of PLD is achieving our goals. It also made us realize that its not always the results that matters, the process is equally important. I think PLD make the community realize that they should be the 'doers and not just mere recipients. It is inspiring to see that with our interventions, people have started in believing in their capabilities. Now our interventions through awareness is enabling the community to approach different offices & building linkages for themselves. United Farmers Federation is planning to take actions on social issues like irregularities of government officials on working days. Farmers’ grievances have been put forward to the village councils for actions. And the story goes on….."
FARM Northeast project uses the People Led Development (PLD) approach, one of the effective approaches in the developmental sector. The project has been initiated since June, 2013 in 20 villages of Nongstoin C&RD Block, West Khasi Hills District, Meghalaya, with the support of Caritas India.The planned activities of the project are implemented with the use of PLD approach and to my experience it’s been one of the best approaches of late. For me a newly recruited social worker, PLD is a new learning and especially for implementing interventions using PLD approaching the field “I believe PLD makes the community realize that they are the Doer and not just mere Recipient”. It is also inspiring to see that with our interventions, people have started believing in their capabilities to take decision and initiative for their development. The awareness/workshop conducted, empowers the community with knowledge and information and to specify a few it had enabled the Farmers to approach different departments to access seeds, saplings and other supports to enhance their agricultural activities. PLD also empowers the communities to plan, implement and evaluate the activities in an effective an efficient manner concerning their plans. This approach enables people to identify their needs, problems and plan out probable solutions to address the same. Nongdiwah village is one of the practical example of the effectiveness of PLD approach, where the communities members of Nongdiwah initiated a demand from the concerned authority to construct a footpath to reach Nongrangoi village (shortcut way) through MGNREGS. The demand was accepted and the footpath was constructed in 2015 for the greater benefit of not only the farmers but overall benefit of both the people of the two villages. PLD is perhaps a good step towards moving out from top down approach to bottom up approachwhich promotes ownership and sustainability of any developmental initiative. Many visible changes have been seen in the project areas raging from increased agricultural production to increased participation in planning and decision making through the initiative of Farm project. "People Led Development (PLD) approach helps me in planning, implementing and evaluation of the programmes. It is part of exploring the needs of the people with whom we work. People feel good when their views are being sought & that builds confidence in them. PLD is not a rigid technique in working with the people but is very flexible for all round growth of the people. Through PLD I can understand the people much better and in depth. The best part of PLD is the people’s initiatives, participation and ownership of the program". "It’s been almost 24 months of our involvement in the project of FARM North East, dealing with challenges of the farmers belonging to 16 villages of Dimoria block under Kamrup District, Assam. A wide range of activities have been done by the community in the villages to bring about the possible changes for securing sustainable livelihood. One of the uniqueness of the project is People Led Development (PLD) approach. Here, the project is for the community to implement. Once the community comes together, it help them in collaborating with the local government/public institutions for deriving benefits. It is important to understand that the implementation of the project would be through community that have been organised in the project in the form of farmers' club, youth groups and womens' groups respectively. The entire mode of operation and implementation of the project would be through community for the community & the role of the project team would be to facilitate the process and build the capacity . The experience so far has been very good with lot of new learning in the form of identification of the traditional knowledge and practices on the day to day basis". We, at this corner of the country experienced that people for quite sometimes appeared to be dependent on others to decide and carry out activities for their own development. In the process people almost forgot the fact that they can also decide themselves, for their own development. People appeared to be infected with a very peculiar syndrome called “waiting sickness”. They were practically reluctant to take a step ahead for abetter future. FARM Northeast project with a main component of People Led Development (PLD) approach was being initiated since June, 2013 in 20 villages of Nongstoin, West Khasi Hills District, Meghalaya. A wide variety of activities had been carried out in the project by us villages keeping in mind the PLD concept. Now it seems that it’s working. People have began to realize that they need to carry forward the agenda of sustainable development is themselves. Presently people began to think and discuss before taking any step whether such thing is relevant or not for them. Now they are also more aware of their rights and entitlements. One good example from our fields is the road connectivity to Diengsyiang village as a result of persistence effort made by the people of the village to make the district administration to pursue the matter with the concerned department to speed up the work. PLD among the community in our project area is just a beginning & we need to work a lot morein order to empower our people in the best possible manner. "People Led Development (PLD) approach is very new learning for me. It has brought the clear concept of what we are doing and what we should do at the grass-root level. Though I have been working since last 8 years in the social sector with the communities for the empowerment of women, disabled people etc., yet the concept of PLD has never been in the mindset of any of us till date. Yes, it is true that PLD has made us to understand the real empowerment and Development of the communities at grass-root level. The communities have been practicing PLD since ages but it has not been identified. Now I can clearly understand the concept of PLD with identification of PLD practices in the targeted villages & thanks to Mr. Prabal Sen, Caritas India to have helped me in understanding the concept practically. PLD may help communities towards bringing empowerment & development in the society". "As per my understanding, the concept People Led Development (PLD) approach is about people coming together and working for a common good. It is the utilization of capacity and resources available within. PLD also means. My personal observation from field suggests that people themselves are the leaders taking initiative for their own development. I can see the community identifying the resources & mobilizing the same. Interesting to note was how people from my own community mobilized themselves to construct a small approach road & community hall in their village. This is perhaps just the beginning & I am hopeful to come across many more such experiences of PLD". "People Led Development (PLD) is a concept of developmental approach led by the people themselves. People find out their problems and find out solution by taking necessary steps & action for bringing change. It is the people who take decisions for their developmental progress. They are free to think, share & bring out solutions. They first need to be empowered & this may lead to developmental work by the people as people will have necessary information to approach various developmental institutions. Our job as a project team is only about facilitating the process. The concept of PLD is very good through which we can create opportunities for the people to work. It is the people who know, what are their essential needs for the growth of the society. It is good that people have started doing things of their own for their own development". 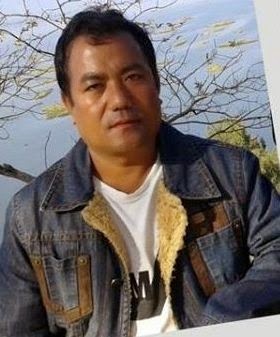 "Since last 2 years I have been involved in the FARM North EAST project working in 20 twenty villages belonging under Kamporijo Circle – I & II of Lower Subansiri District of Arunachal Pradesh. People Led Development (PLD) approach the concept is very new learning for me and team. Today, I have understood the concept and realized that so many activities have been carried out by the communities in the field. Today I personally could identify PLD at the grass root level. The practice of PLD exists among the communities and & I can proudly say that we have been able to identify these. Community members are taking initiative to furnish the activities in their respective villages by themselves. From the point of view of the project we can see the community mobilizing themselves for better opportunities after we facilitated them. The most important thing we realized about the concept is that PLD is for us to understand & the communities have nothing to do with it. We are now continuing the process & looking forward to many more good things coming up". "FARM North East is another good approach that we stress upon and that is People Led Development (PLD). In the last two years while working with this concept, there are two important aspects that I feel which has to be addressed to the people in a proper manner so as to give more substance or even more depth to the concept and these are “Empowerment” and “Sustainable Development”. 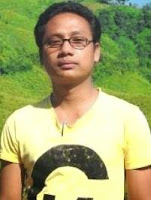 In my 10 years experience as a social worker in Jaintia Hills, I have seen that in most of the villages of Jaintia hills, people are still dependent on the help which they can get from the Government, and as per their mindset, if development is to happen then it must be in the form of Schemes and Grants from the Government. I remember during 2004, there was one village called Mowkaiaw in Jaintia Hills which was considered at that time as the model village in the whole of Meghalaya for road connectivity within and outside the village & also cleanliness. In 2009, I happened to visit it again. To my utter surprise the roads were full of pot holes as if even fishes could be reared there. Even the village was itself was dirty. I could clearly see how people did not bother the sense of ownership for their own development; how they left development entirely at the mercy of Government or NGOs. Sustainable Development and “Empowerment” are the pillars of PLD approach. Through FARM project, interestingly we found out that in most of the villages people practice the spirit of being together for different reasons. The entire community would come to help one individual in the time of distress. We are gearing up our efforts to change the attitude of people towards development and we will always guide them ‘How to fish’ rather than ‘Give fish’. Our mission is tough but not impossible and it is very clear that until people have the sense of Ownership, collective responsibility and lead the developmental work by themselves, there will not be any sustainable development". The concept of PLD in FARM Northeast has given a new dimension towards understanding the fact that this project encourages the people to take the initiatives & decide on their own. PLD in the context of North East India is a new concept but it existed among the communities since ages. They would come together not only at times of distress but also in good times. Our efforts & role under this project was to identify such systems, revive the same & document. Besides we also take care of facilitating the communities in reaching out to the ones they want to in order to achieve their goals. Under our job as a support agency we helped the respective project teams to identify in the best possible manner. We have come across encouraging stories of communities taking lead in achieving a certain goal. We have observed how certain traditional systems in agriculture & other social sectors are still prevalent in the project areas. We consider ourselves as learners & not someone who tries to impose upon expertise on the community as we strongly believe that community has lot to be learned from in the first place. Caritas India's prime role in this project is to identify traditional development initiatives, facilitate peoples' new initiative in the current scenario of development perspective, study & learn from the people & give back to the people those good learnings as options. Our endeavour continues in PLD & we are here to ensure that the concept remains to be the heart & soul of the project.